Please join the Rising Leaders in supporting Paul’s Place on November 11th for our 2017 Huff & Puff 5K and 1 Mile Run/Walk! Paul’s Place is a catalyst and leader for change, improving the quality of life in the Southwest Baltimore communities. Paul’s Place provides programs, services, and support that strengthen individuals and families, fostering hope, personal dignity and growth. 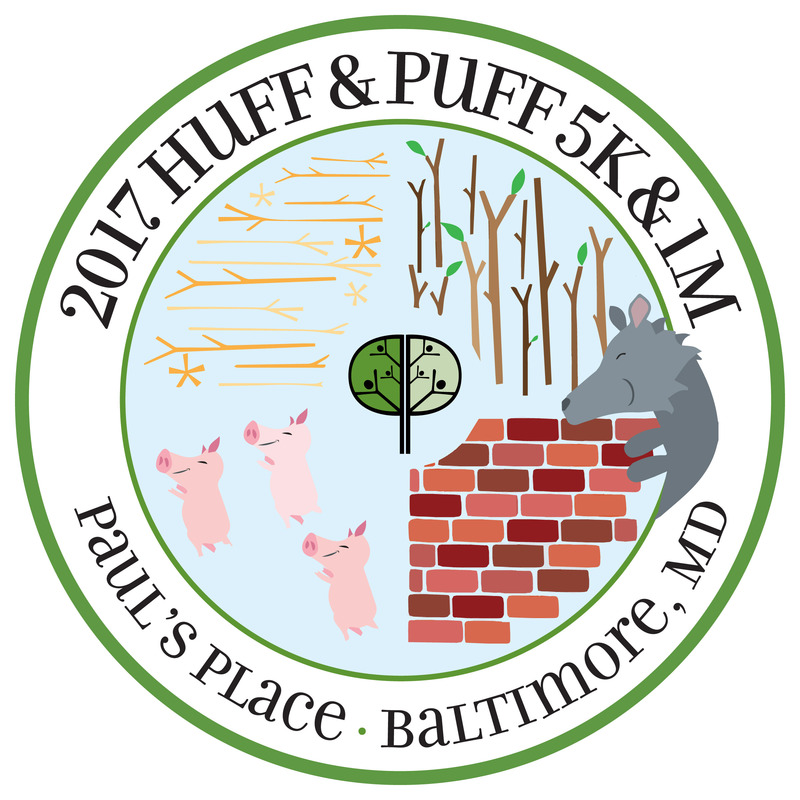 Please join us in supporting Paul’s Place on November 11 for the 3rd Annual Huff & Puff 5K and newly added 1 Mile Run/Walk! While the big, bad wolf may blow houses down, Paul’s Place has been working in Southwest Baltimore for 35 years to help rebuild individuals, families and our communities. Paul’s Place provides programs, services and support that strengthen individuals and families, fostering hope, personal dignity and growth. Your participation helps raise funds to support over 3,500 individuals and families that access Paul’s Place services each year. Awards ceremony following race completion (estimated to be at 1:05). Pig and Wolf costumes are encouraged! Post-race celebration including food, beer, wine, music, activities and heated tent. Secured FREE parking available to all race participants adjacent to Carroll Park Golf Course. NOTE: After November 3, shirt sizes are no longer guaranteed. Shirts will be provided based on availability on race day to those not pre-registered. The 5k start at 12PM, and the 1 Mile Run/Walk will start at 1PM. Check in will open at 10AM and remain open until 11:45 for the 5k and 12:45 for the 1 Mile Run/Walk. We will be running throughout beautiful Carroll Park Golf Course just blocks away from Paul’s Place. Invite your friends and family to cheer you on for the 5K or 1 Mile Run/Walk and to enjoy the after celebration where we will have food, beer, and wine for purchase with music and activities in a heated tent. The fun will last until 4PM. All proceeds benefit Paul’s Place, Inc.